JLab Audio sound. Enjoy rich and crisp JLab Audio quality sound with 8mm drivers. And you can tune to your preference with three EQ settings; Signature, Balanced, and Bass Boost, all without an app. 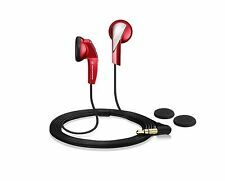 Earpiece DesignEarbud (In Ear). Step 3: Plug In The Headphone Jack Into iPhone. Go to Settings > Bluetooth (turn on) > Select "Lightning". Step 5: Connect And Enjoy Your Headphone With Highest Sound Quality. 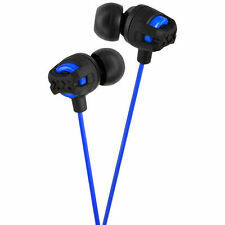 LK TE9 TWS 1:1 Wireless Bluetooth 5.0 3D Super Bass Earphone Headset Headphone. 2x Mini Bluetooth Earbuds. This wireless Bluetooth earphone is equipped with a charging box. Wireless version: Bluetooth V5.0. No adaptor is included as it's already a lightning connector. iPhone cases?. Genuine KingKong and Lunatik available! Do you need tempered glass to protect your iPhone screen?. I have all models here. 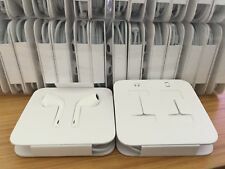 Genuine Apple iPhone 7/8/X Lightning EarPods Headphones EarPhones Handsfree Mic. [NEW] Bluetooth V5.0. [NEW] Wireless charging case (see picture). [NEW] USB Type-C charging port. [NEW] No video latency. [NEW] Battery level indicators on charging case. [NEW] Waterproof, great for exercising. 30 days money back,6 months warranty!!! Beats by Dre X In-Ear Wireless Bluetooth Earphones - Choice of Black/White. 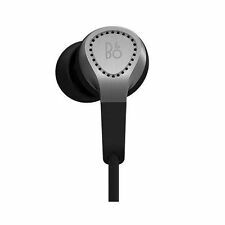 5 out of 5 stars - Beats by Dre X In-Ear Wireless Bluetooth Earphones - Choice of Black/White. 90 product ratings90 product ratings - Beats by Dre X In-Ear Wireless Bluetooth Earphones - Choice of Black/White. 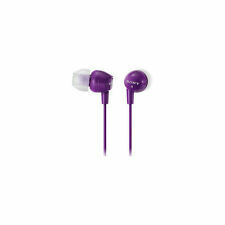 Headphones Earphones for Sony, Samsung, Apple and Smartphones!!! UK SELLER!!! ♫【What You Get】 SOAIY T2 earbuds, charging case, micro USB cable, 3 sets of silicon EarGels, user manual. Easily set up Bluetooth enabled devices within Up to 33 feet wireless range. While retaining the superb sound qualities of the predecessor, the E10C has been equipped with a 3-button remote with automatic switching between Apple and Android smartphones for interchanging devices with ease. 24 Months Warranty,30 Days Money Back Guarantee!!! They even include a matching carrying case for storage and added protection. 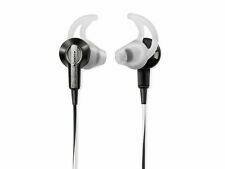 SoundSport in-ear headphones. Engineered to Go Wherever Life Takes You. Carry case. Inline microphone and remote for easy switching between calls and music with selected iPhone models. SOUNDMAGIC E10. 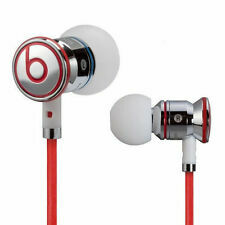 The in-ear design combined with the right eartip makes sure the sound is not lost or diluted. Sitting comfortably in the earcanal, theE10 ensures hours of fatigue-free listening fun. Keen joggers, fitness enthusiasts, and those constantly on-the-go will know the value of a securely fitted set of headphones. Their small size makes them entirely practical for carrying around, they are ready to use when you need them. No matter your style preference or budget, eBay offers a broad range of discreet in ear options for all. What additional features are available with in ear headphones? Wireless connectivity - Rather than struggling with tangled cables, wireless options offer frustration-free audio. Some enhanced Bluetooth models can even offer up to 10 metres of connection range. Waterproof/ sweat-proof - Don’t worry about getting caught in a downpour and exert yourself freely without worrying about moisture damage by opting for a sweat-proof model. Microphone - Take calls and make yourself heard with ease with a built-in mic. If you combine this with enhanced Bluetooth functionality, you don’t have to be anywhere near your phone to keep in touch. Biometric - Sport-specific in ear headphones can track performance data and your heart rate, then sync with a smart device to efficiently assess your workouts. Noise cancelling technology – To ensure total immersion in your favourite track, choose in ear headphones that are designed to actively reduce background noise. How do you make the in ear headphones fit properly? The ear canal, like all body parts, is unique to the individual. To accommodate this, many in ear headphone models offer a range of detachable bud sizes to ensure a snug fit. Some styles also come with a cable or soft rubber band that wraps around each ear to keep the headphones in place while you are on the move. What to look out for if buying used in ear headphones? For the budget conscious buyer, used or second-hand headphones can be a good way to get better quality headphones on the cheap. Before you make your choice, however, you need to find out if they have been well looked after. Make a point of inspecting all photographs for possible damage – particularly to the cables – so that you can be sure of full functionality and that sound quality has not been compromised.